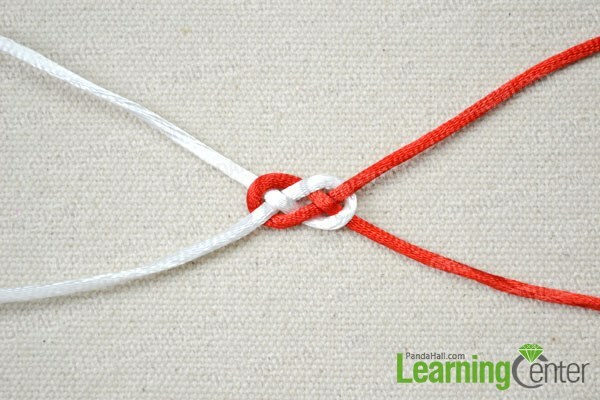 Summary: In this knot tying tutorial, I will teach you how to tie a sailor knot out of clear pictures and detail steps. Sailor knot tying is one of the most ordinary techniques in making jewelry projects. 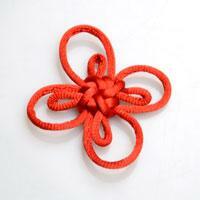 In this knot tying tutorial, I use two separate nylon cords to tie the sailor knot. It is made up of two loops, rather than three. Come and follow me! 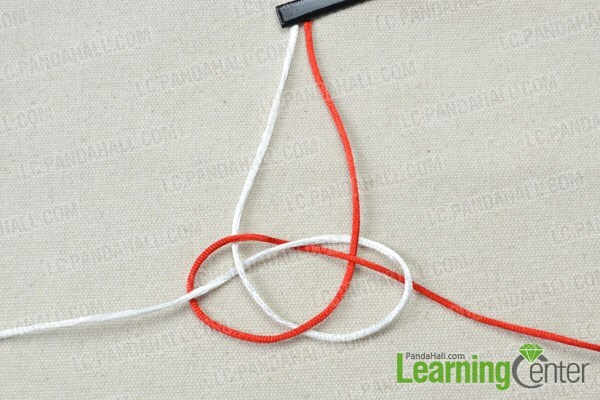 Step 1: Prepare a 20cm white nylon cord and a 20cm red nylon cord, and secure both cords for convenient tying, place the white one on the left. Step 2: Place the white cord working end under the secured end to form a counter-clockwise loop. 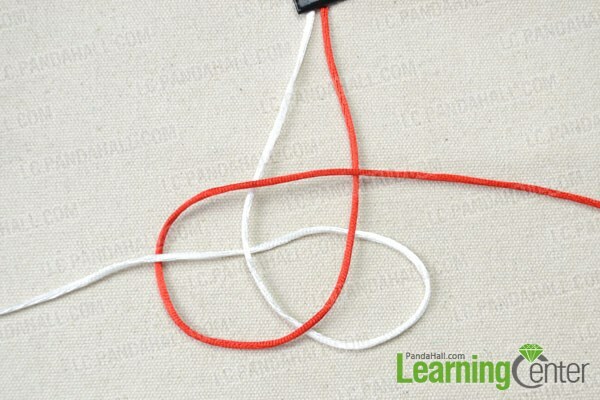 Step 3: Make a clockwise loop with the red cord, be sure the red working end under the white working end. 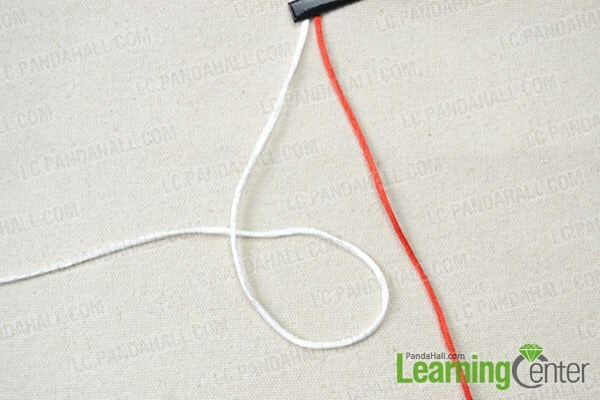 Step 4: Bring the red working end to pass through the white loop under white cord, over red cord, and under white cord. Step 5: Tighten the sailor knot by pulling both ends. Have you mastered how to tie a sailor knot? Based on this sailor knot tying tutorial, you will be familiar with this basic sailor knot tying. Try it again and again!